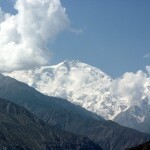 Pakistan’s Nanga Parbat (8,125m), the world’s ninth-highest mountain, has had its share of strange tragedies. It was the first 8,000m peak to take a climber’s life in 1895, when Albert Mummery and two Gurkha officers, Ragobir Thapa and Goman Singh, set off to cross the Diamir Gap and were never seen again. In 1934, nine members of a German expedition, including six Darjeeling Sherpas, died in a harrowing eight-day storm as they retreated down the mountain. In 1937, sixteen members of another German expedition died in their sleep, when their camp was wiped out by a huge avalanche. In 1939, four members of a German-Austrian expedition were climbing the mountain in what was then British India, when Britain declared war on Germany. They were arrested and interred in an Indian prisoner-of-war camp. The escape and flight of two of them, Heinrich Harrer and Peter Aufschnaiter, was subsequently immortalised by Harrer in his book Seven Years in Tibet. The great Italian alpinist Reinhold Messner must have had very mixed feelings about his ascent of Nanga Parbat with his brother Günther in 1970. The pair made a unique traverse from west to east, but Günther was lost in another avalanche as Reinhold ran on ahead. Most shocking of all were the eleven climbers of seven nationalities who were massacred by the Taliban at base camp in 2013. It’s possible that what happened on Nanga Parbat the weekend before last will be remembered for just as long. It was certainly a remarkable story, a rescue so heroic that even the mainstream press reported it. On 25 January, two climbers – the Frenchwoman Elisabeth Revol and Pole Tomek Mackiewicz – started a summit attempt from their Camp 3 at 7,300m on Nanga Parbat. It was reported that they reached the summit, but Tomek suffered from altitude sickness on the way down. He subsequently became frostbitten and snowblind, and storms were approaching. They needed help, but this was Nanga Parbat in winter. There are always storms. The snow is metres deep, slopes are laden with avalanche risk, and temperatures are Arctic. But the biggest problem of all is the altitude. No helicopter can fly that high to pluck them off the mountain, and no human can survive at that altitude without taking weeks to acclimatise. It seemed that the climbers were alone, and rescue was impossible. But was it? Perhaps in the old days, but now, with modern communication and sufficient resources, anything is possible. It so happened that a short distance away were four men capable of performing a rescue. 200km away, a Polish team was making a winter attempt on K2 and had been there for some time acclimatising. 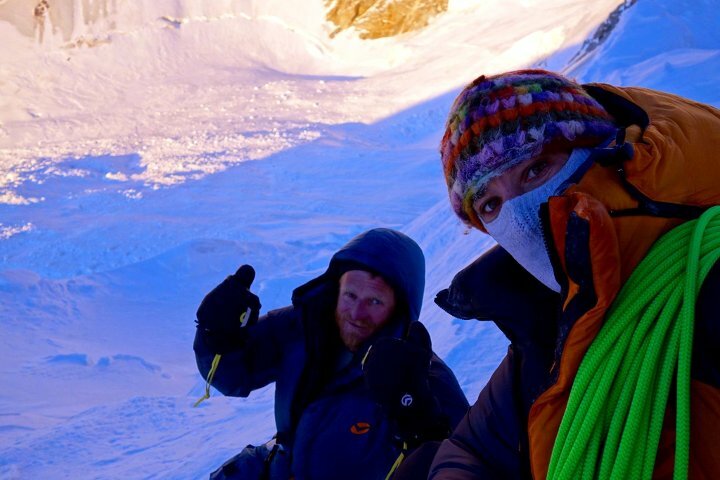 On 26 January, the home team of the two climbers decided to launch a rescue. 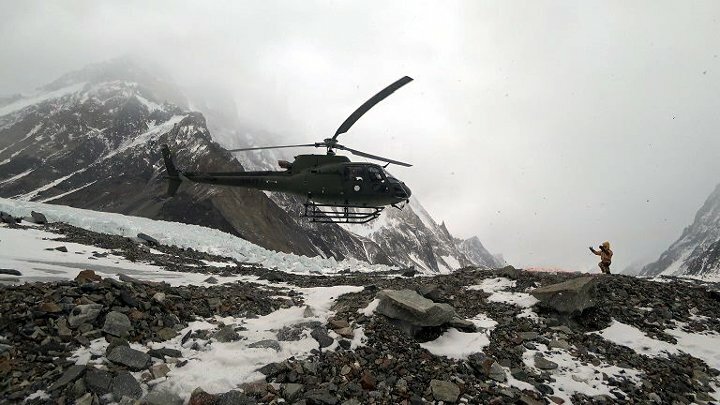 They found a local helicopter company who were prepared to fly the men from K2 base camp to Nanga Parbat, and a friend set up a GoFundMe campaign to fund it, rather like the one to rescue Kyle Dempster and Scott Adamson in 2016. 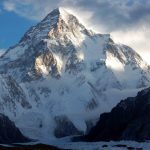 The initial plan was to attempt a rope evacuation of the two climbers on Nanga Parbat at an altitude of 6,500m, using a helicopter long-line. But when they arrived at base camp at around 5pm on 27 January, they decided that it was too late in the day to attempt such an evacuation. Instead, two climbers from the K2 team, Denis Urubko and Adam Bielecki, were dropped at 4,900m and climbed 1,200m through the night. At 2am, they saw a head torch in the darkness. It wasn’t Stanley meeting Livingstone on the banks of Lake Tanganyika, but Denis Urubko’s first words to Elisabeth Revol were just as understated. ‘Hello, Elisabeth, nice to see you,’ he is heard saying in some footage of the meeting that was posted on Facebook. She had frostbitten hands and a frostbitten foot. She told her rescuers that she had left Tomek protected in a sleeping bag, inside a crevasse, at around 7,300m. When she left him he had lost consciousness, had frostbitten hands, legs and face, was disorientated, snowblind, and unable to move independently. On this basis, rather than continuing their ascent another 1,200m, the two climbers decided that Tomek was beyond their help, and it was better to concentrate their resources on helping Elisabeth. They endured a difficult four-hour bivouac in -35ºC temperatures while they waited for the sun to rise. The next morning they helped Elisabeth down the Kinshofer Face by lowering her with a rope and belay. Once down to 5,000m, she was able to make the rest of the way to Camp 1 by herself. At 1.30pm on 28 January, she was evacuated by helicopter. It had been a remarkable rescue involving many people, some of them complete strangers who heard about the story and donated money. But it was bittersweet. Thousands of metres above them, Tomek Mackiewicz lay dying. From Elisabeth’s description of his state when she left him, it was likely that he had already gone. It was the right decision to leave him there. Mountaineering history is full of stories of climbers who were beyond help, but their companions would not abandon them to die alone. It sounds like the right thing to do, but it’s false heroism. You could even call it martyrdom. One of the most tragic examples of this occurred on Peak Lenin in Kyrgyzstan in 1974. Eight members of an all-women’s team refused to leave their dying team mates until they had gone; and one by one, they all perished. In these situations, somebody has to be the last. Tomek Mackiewicz’s death on Nanga Parbat carries a number of characteristics of a Shakespearean tragedy. It has a tragic hero, who possesses a tragic flaw that will ultimately lead to his downfall. It involves a tragic waste, and an external conflict. I’m sure that Tomek endured internal conflict as he battled with his obsession. There was a lack of poetic justice (some people might say that Tomek deserved to bag the prize of a first winter ascent). There was even a catharsis for the audience in the dramatic rescue of Elisabeth. The only element missing appears to be any form of comic relief. 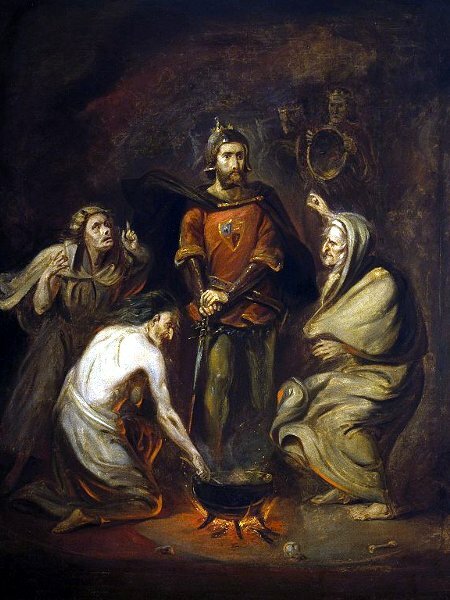 Tomek was of course the tragic hero of this story. His tragic flaw was his obsession with making the first winter ascent of Nanga Parbat. He made no fewer than seven attempts to climb the mountain in winter, in 2011, 2012, 2013, 2014, 2015, 2016 and again in 2018. His seventh and final attempt was made even after the race had been lost. All of these attempts have been summarised by Raheel Adnan on his Altitude Pakistan blog. Tomek’s attempt by the standard Kinshofer Route in 2011 appears to have been little more than a recce, but he entered the race in earnest in 2012 when his nemesis Simone Moro (who would eventually win the race) and Denis Urubko (who, ironically, would be the one to attempt his rescue) appeared on the mountain to challenge him as a two-man team. In 2013 he attempted a different route on the Rupal Face, became the first to climb above 7,000m on Nanga Parbat in winter, and finally reached as high as 7,400m. In 2014, his climbing partner Marek had to leave the expedition early, and Tomek ended up joining Simone Moro’s team and reaching 7,200m. He so nearly succeeded in 2015, when he made his first attempt with Elisabeth Revol, who would become his climbing partner on three ascents. They reached 7,800m on the Diamir Face, but were still denied the summit. But in 2016 came the external conflict. 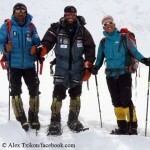 The race was finally won by Simone Moro, Alex Txikon and Ali Sadpara, but in his bitterness, Tomek accused them of failing to reach the summit, and hindering his attempt by setting the Pakistani authorities against him, accusations that Simone Moro strenuously contests. There are still some details to be filled in about Tomek’s ascent this year, but it appears that his death was preventable. All three of the conditions that afflicted him – altitude sickness, frostbite and snowblindness – are ones that most experienced mountaineers would consider avoidable. Tomek was experienced, for sure. This was his seventh attempt. But it’s likely that he made one or more errors of judgement that ended in tragedy. Elisabeth has spoken to the media about her descent, but she hasn’t yet provided much detail about the ascent. For instance, did they ever consider turning around, as they both had on a previous attempt? Were they more determined (or more desperate?) this time around, and did they ignore warning signs such as the time of day, how tired they were, and whether Tomek was becoming altitude sick? 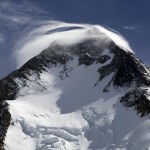 According to Elisabeth they reached the summit at 6pm on 25 January, very late to be on top, especially that time of year. Sunset was 5.30 in Islamabad, though above 8,000m there would still have been some daylight. It’s not clear whether they took any summit photos, as every mountaineer in their position would be expected to do as proof of their claim. This doesn’t mean that they didn’t reach the summit, however. I’ve had cameras and camera batteries freeze up on me in far milder situations than they would have been in. As for frostbite, this may have been a risk he was prepared to take. We each have only ten fingers and ten toes. Most climbers wouldn’t consider a summit worth any of them, and would abort their attempt if they felt frostbite was a high risk. But bizarre as it may seem, the cold is so severe on 8,000m peaks in winter, that it’s likely anyone who attempts a winter ascent has already accepted that they may have to sacrifice a digit or two. Perhaps not in the way Elisabeth imagined though. She told journalists that she removed her boot because she hallucinated that someone asked her for it in exchange for a cup of tea. His snowblindness is harder to understand. Elisabeth said that he didn’t wear a mask (i.e. dark snow goggles) on the way up, because it was a ‘bit hazy’. You can understand that it’s tempting to remove dark glasses as the daylight dims on a cloudy day, but it’s a schoolboy error. Every experienced mountaineer should know that sun can penetrate the thickest of cloud and reflect off the snow. The consequences of snowblindness in their situation were far too severe to take the risk of removing glasses. Perhaps the altitude had affected his judgement. As they made their way down, Tomek had trouble seeing and breathing. He clung to Elisabeth for guidance. His nose and mouth began to freeze, then his hands and feet. Darkness overtook them, and they huddled overnight in a crevasse. By morning, Tomek was still alive, but blood was streaming from his mouth. It was likely that he was in the later stages of pulmonary edema, a common cause of death at high altitude, where fluid builds up in the lungs. Elisabeth didn’t abandon him; she went to fetch help, but it was too late by then. 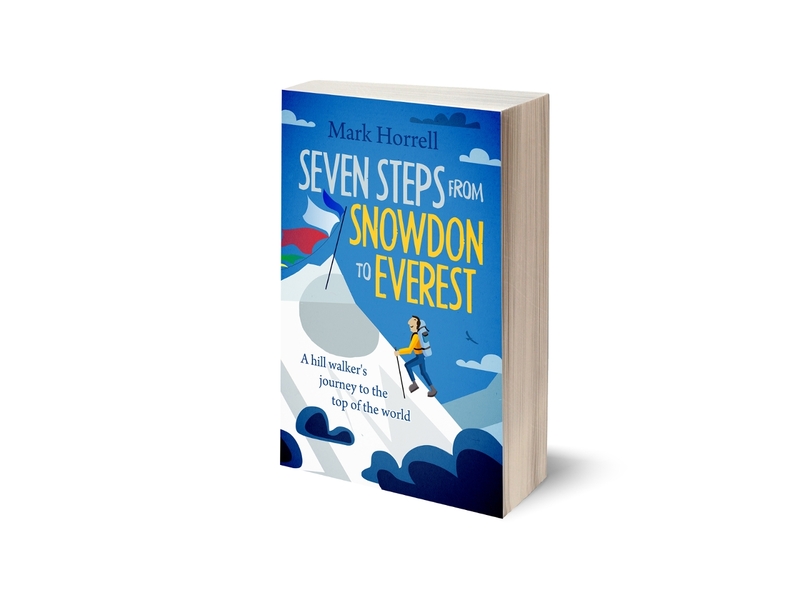 It was a great achievement to reach the top in winter, but was it worth the cost? It must be heartbreaking to put in so much effort, and stop short for a seventh time. But it’s a greater achievement to return alive and climb again. It’s hard to avoid the conclusion that Tomek’s death was a tragic waste, driven by an obsession to reach the summit of Nanga Parbat in winter. Which vainly I supposed the Holy Land. Well written, three thumbs up. Thanks for the summary, very sad, but man, imagine how the career of Denis Urubko and Adam Bielecki will read one day when they are done -both have done so many firsts and heroics. Very well written as usual , What do you make of Vanessa O Briens comments in the aftermath? Thank you. I think enough people provided an opinion about that. There are other places for that conversation, but this post is about Tomek, not Vanessa. 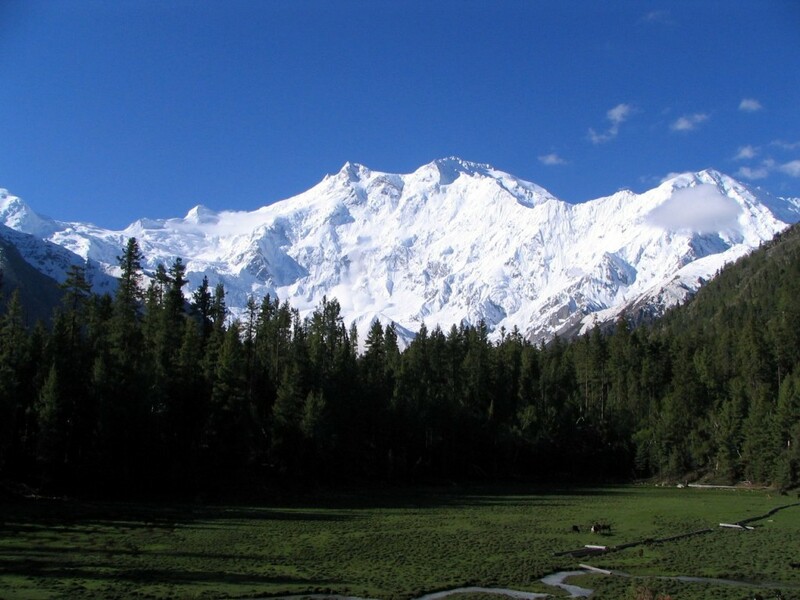 This is the first time I am hearing about Nanga Parbat and I will have to add this mountain on my bucket list. Sorry to read about the tragedy! Interesting but sad story. The urge to climb when the risks are high is something I do not understand. Thanks, Don. Glad you’re enjoying the book. There is a Nanga Parbat in Canada? I never knew. Always excellent and original writing Mark, thank you!